Mentoring Sessions – anything goes!! 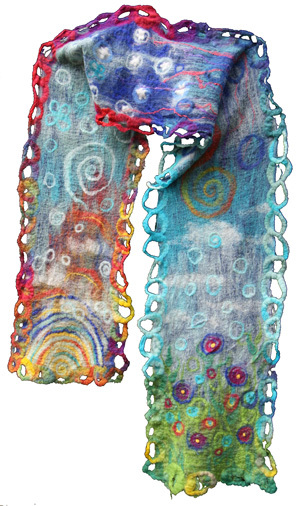 Book a Fiber Arts Class! 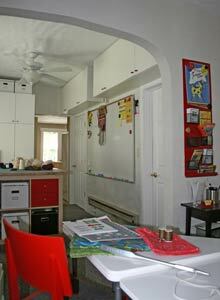 When you book a class with your stay, we call it an "Edu-vacation!" 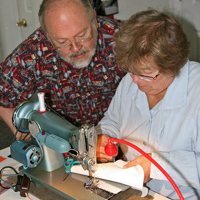 We offer a number of classes and workshops. The cost varies based on the time required for the particular skill being taught and the materials fee (if any.) Contact us by email to discuss the details. See the list to the left. Of course, you can stay at Bobbin House Suite without taking a class and you can book a class without staying at Bobbin House. 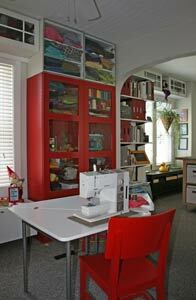 Pictured above is the main classroom / work space at Bobbin House Studio. 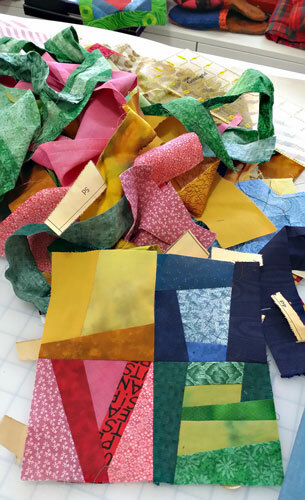 Wet felting or paper-piecing are fun 4 hour projects.